During the Mondial de l’Automobile 2006, Alfa Romeo announced the production of a limited series of 500 units of the 8C Competizione. The production version is very similar to the concept , the biggest difference to the exterior being the rear-hinged hood. Other minor changes included the front lights, which used Xenon lamps, a standard wiper system, a mesh side vent, and the rims,which had a design that mimicked the cloverleaf logo. 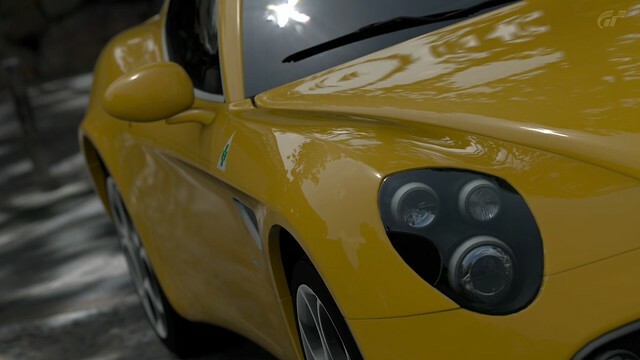 The car came in four colours: Alfa Red, Competition Red, black or yellow . Custom paint colors were available for an additional charge. The bodyshell is made of carbon fibre, produced by ATR Group. 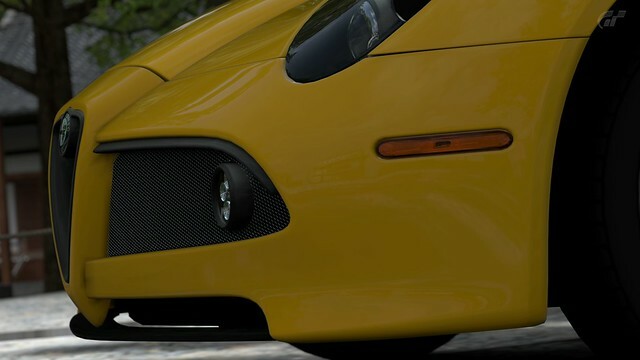 The carbon fibre body is fitted to a steel chassis, made by Italian company ITCA Produzione. The final assembly takes place at the Maserati factory in Modena, Italy. The car uses a modified Maserati platform and powertrain (Maserati 4200, GranTurismo) and features a Ferrari/Maserati derived 90-degree cross-plane wet sump lubricated 4.7-litre V8 assembled by Ferrari. The top engine performance figures may be summarized as a maximum power of 331 kilowatts (450 PS) at 7000 revolutions per minute, a peak torque of 480 newton metres (354 lb·ft) at 4750 rpm (80% at 2500 rpm) with an engine redline of 7500 rpm and rev limiter of 7600 rpm . The V8 engine has variable timing intake valves and compression ratio of 11.3. It is fitted with specially developed 20-inch tires: 245/35 at the front and 285/35 at the rear, fitted on perforated rims in fluid moulded aluminium. The 8C brakes have been called “phenomenal” by Road & Track magazine, with a stopping distance of 32 metres (105.0 ft), when travelling at an initial speed of 97 kilometres per hour (60 mph) . The official top speed is announced to be 292 kilometres per hour (181 mph) but it might be higher, with estimations that it could be around 306 kilometres per hour (190 mph) according to the Road & Track magazine. 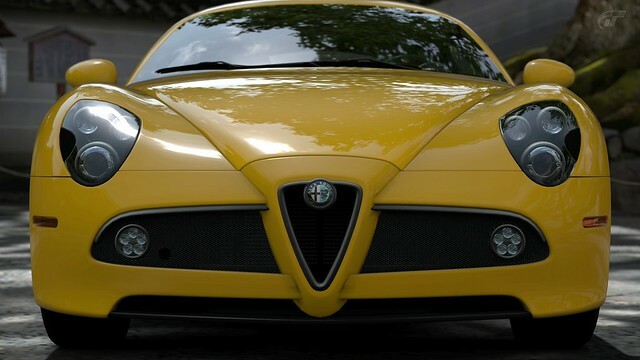 An Alfa Romeo engineer also stated that it is faster than the announced top speed. 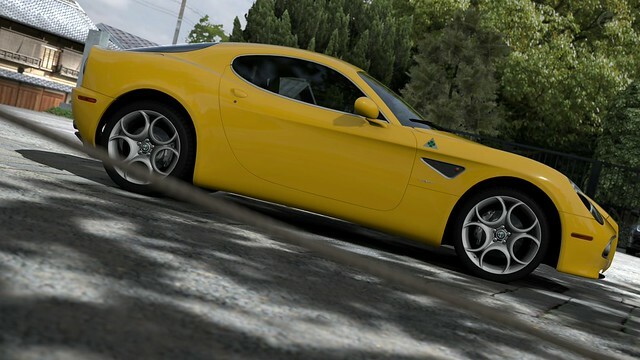 The first FR Alfa Romeo coupe since SZ was given a very tradicional and legendary name. 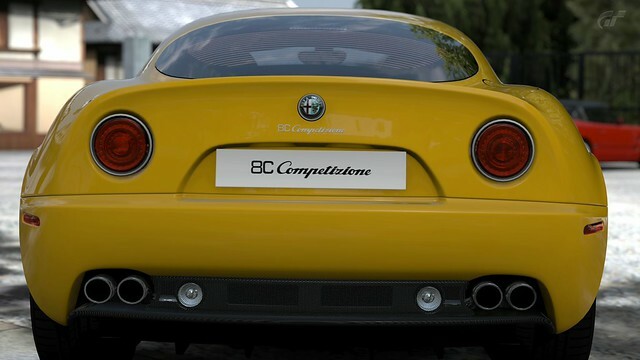 The 8C is the same name of the engine wich had made Alfa Romeo famous for their technical excellence in the 1920´s , that was designed by the famous Vittorio Jano. This was a revolutionary 8 cylinder power unit that was not only used in the Racing machines of the Alfa´s in that Era , but also by many different carrozzerias at the time. 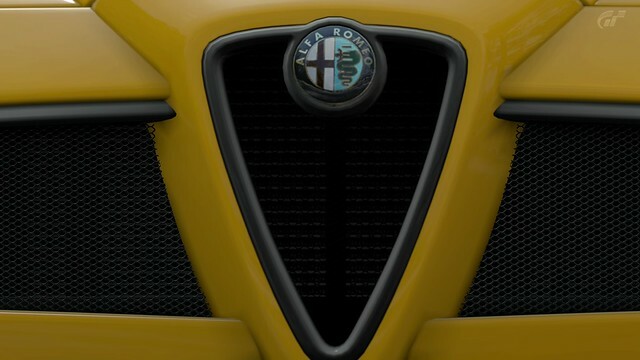 The front facia with its classic looking brings to mind its background, and it has been applied to all models coming after the 8C as the new family trademark of Alfa Romeo. 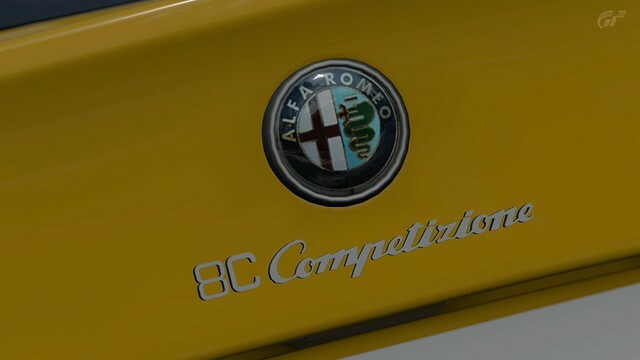 The very Alfa-esque emotional design is a major identifier, and the orders for the limited run of 500 cars Worldwide was full almost as soon as it was announced. The car weights 1575kg and the weight distribution is slightly towards at rear at 49 to 51. To achieve this , the body is a combination of steel frame and carbon. Many aspects of the power unit is shared with Maserati , but Alfa Romeo has tuned its performance and sound . 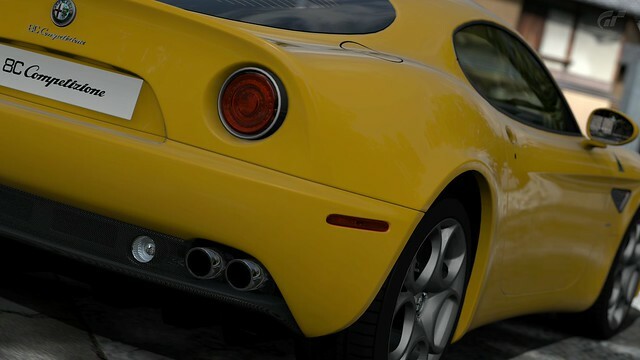 The 4.7L 444BHP V8 Engine is matched with a trans-axle Q select 6 speed semi automatic, and Alfa Romeo states that its exciting sound clears all of the sound regulations set in various countries around the World. 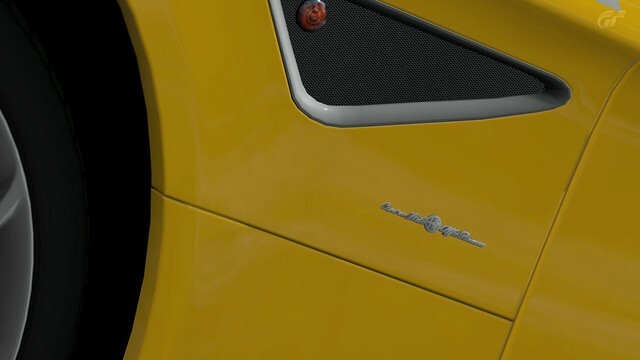 With a top speed of over 290km/h , and a 0-100km/h accelerating of 4.2 seconds or less, its styling may be classic, but its performance is nothing short of a modern super sports car.